All you do is get your class into teams -preferably teams that are in a line. 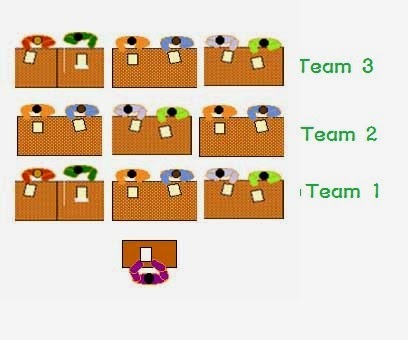 So if your class is in rows, I would have the first row be team 1, the second row is team 2 and so on. SO after sorting the teams give the students your flashcards. These are the flashcards I used for teaching "what are these?" and "what are those?" You can download them here. or make your own! Just have images or words that are plurals. I have flowers, piggy banks , socks, flags, gloves, cookies and fans. Now you'll stand at the front of the class with your own set of cards or none, up to you - and you tell the class to ask the question on the board "What are these?" or "What are those?" You can simply point to it at the start of each round. Once they ask, answer with "They're ___________" and choose one of the flashcards. Tell the students, if they have the same card that you call they can put that on the desk, it's their first bingo. E.g. 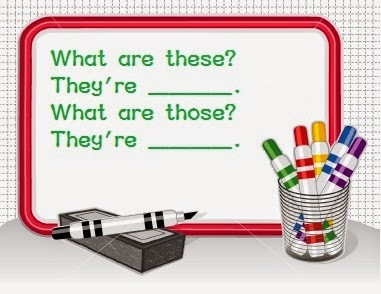 Students: What are these? If the students have the flags card they put it on the desk, if they don't they do nothing. Now, do it 3 more times. (4 times total - this is my recommendation but up to you, only twice if you're short for time). Once you have gone 4 rounds the teams should have some cards on their desk - I call it the card train as the cards will be lined up on the row of desks. You go around and count how many cards each team has. The team with the most cards wins. I play about 3 games, stop between games to have them pick 3 new flashcards each time from their set of 8 (hiding under their book)...usually, I play one game for the amount of teams and have a point keeping table on the board. This game practicing speaking as they learn the questions "What are these ?" and "What are those?" very well. Now, to make it even more useful for learning demonstratives - add in some flashcards that aren't plurals but singular. You can have word flashcards instead as this will get them reading. 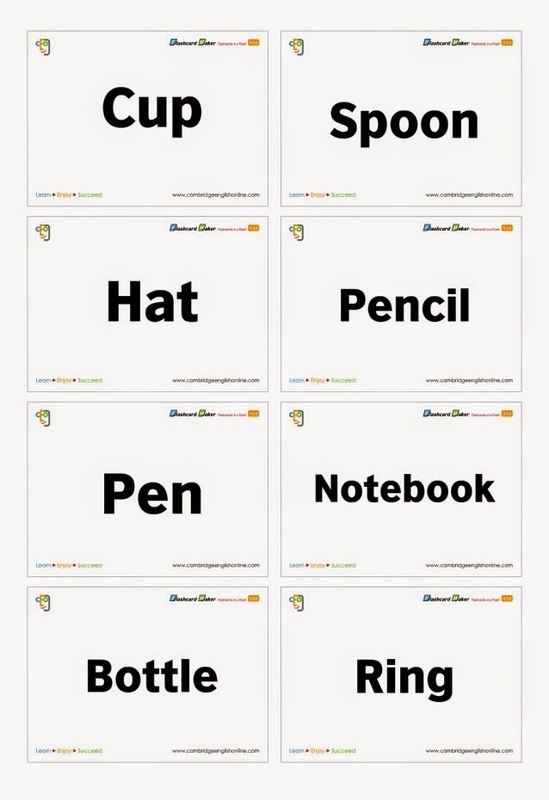 Mix these flashcards with the picture cards. I made these on Cambridge FlashCard Maker Online. Such a great resource to have on hand! Ask them again to take only 3 cards. This time you call out not only plurals "They're ______" but also call out "It's a ____________". And to change it up a bit, you could ask teams to take turns choosing the question they prefer - so team one might talk together and decide they have more singular word cards than plural so they'll ask either "What's that?" 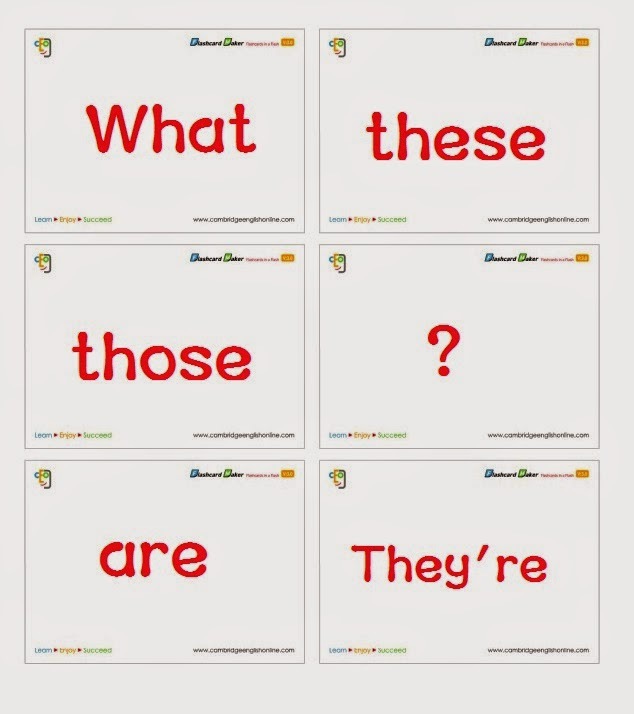 or "What's this" instead of a these/those question. Once again, the teams with the most cards after your bingo rounds is the winner. This game will practice speaking, reading and understanding the this/that and these/those differences. 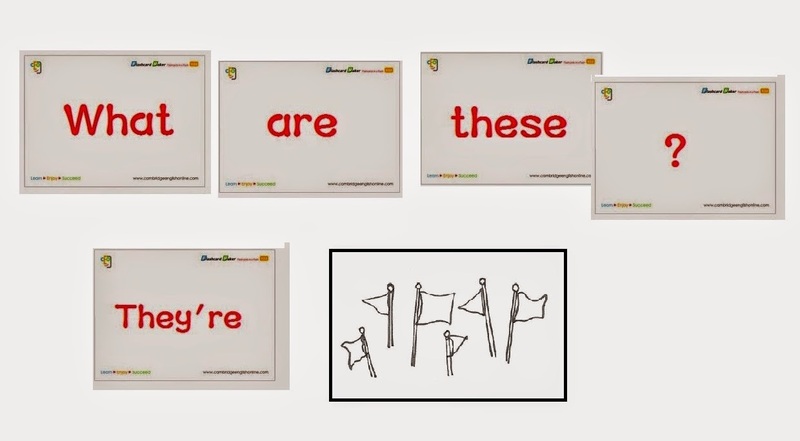 Using the same picture flashcards also add flashcards that have the words "what" "these" those" "are" "?" written on them. 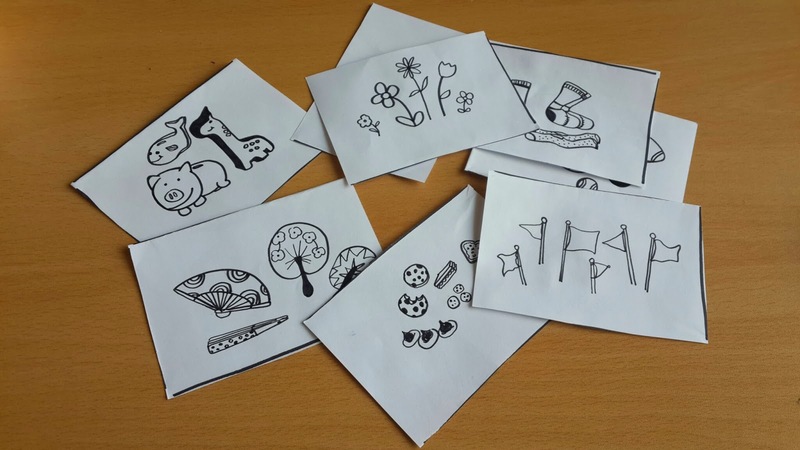 Give only 1 set of sentence flashcards and picture cards per pair. Now, on the board have the picture cards projected on the board or simply have them cut and stuck on the board with magnets. After that, you should stand next to a picture card and point to it -touching the card OR stand far away from a card and point but be clear what you're pointing to -but it's ok to say flags, flowers, socks, etc if the students can't tell -just don't say these or those. The students should make the correct dialogue on their desks according to the distance you've made between you and the picture. If you are standing close and touching the picture they should use "these" in their dialogue. If you are far and pointing they use "those". So they should arrange the cards in correct sentence structure order on their desks and add the appropriate picture card. E.g. Teacher calls "These are flags." while standing next to the flags card. 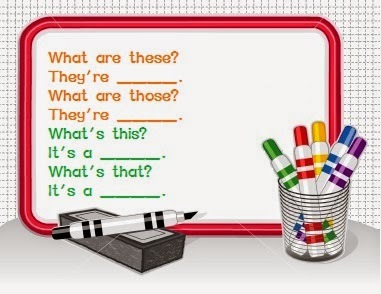 This way the students are learning the difference between these and those as well as practicing sentence structure. The class should read the correct question and answer dialogue to check. If the pair gets it correct they earn themselves a point. Play multiple rounds and ask at the end which pairs have the most points. Happy Teaching! Hope this helps! I love this! Thanks for posting! I will use these.